How extensive are your skin lesions? How frequent are your flare-ups? How do your symptoms limit your activity? How extensive is your treatment? How does your treatment limit your activity? If your answers to these questions indicate a severe condition that affects your ability to function normally, you may qualify for benefits. Again, simply being diagnosed with and treated for one of these conditions does not automatically qualify you for benefits. You must also prove that the condition is expected to persist, is severe enough to limit your activity, and prevents you from working. If you are suffering from a debilitating skin disorder, contact our Albuquerque SSDI attorneys to discuss your application for benefits. We can help you gather the evidence you will need to substantiate your disability claim. What can I expect at my first meeting with a Social Security disability attorney? When you first suffered the illness or injury that left you unable to work, you probably thought applying for disability would be a fairly straightforward, do-it-yourself process. However, whether you have been denied or have simply become overwhelmed by the process, you are now considering hiring an attorney to represent you. Many of our disability clients are meeting with a lawyer for the first time in their lives and they are often nervous and unsure. While there is nothing you absolutely have to do before your initial consultation with us—we are happy to explain everything!—we offer this guide to your first meeting to help put your mind at ease. A list of questions you have for us—no question is too basic or too complicated! We realize that this is a lot of information and you may not have easy access to all of it. Again, in our first consultation, it is not necessary to have gathered all of this information before you come, but the more you know about your disability and work history, the better. If we believe you have a legitimate claim for disability after our initial free consultation, we will schedule another meeting to discuss your claim in more detail. At that point, we will tell you what you need to bring, which will include much of what is listed above. We will need to confirm that you have paid into the system and have enough work credits to qualify. We will also need to make sure that your condition meets the qualifications set forth by the Social Security Administration as a disabling condition. Finally, we will need to prove that the condition makes it impossible for you to continue in your previous position or in a similar position. We will request your medical records and may send you for additional medical testing. If you have a hearing, our attorney will review the questions you are likely to be asked and make sure you are prepared to answer them. We will gather the medical and vocational evidence needed to support your claim. We likely will not meet with you until four or five weeks before the hearing, but are happy to answer any question you have at any time. We do not require any up-front payment from our disability clients. You will not owe us anything until you are approved for benefits and back pay. We will make sure you understand our fee structure before we take your case so that there are no surprises. If you are facing a Social Security disability application, do not hesitate to call us for a free consultation. We are here for you when you are facing an uphill battle. Do I need a lawyer for my New Mexico SSDI claim? You have been working full-time since you were 18 years old. You have had a variety of jobs, but have always worked hard to support yourself and—eventually—your family. Now you find yourself unable to work. Whether it was an illness or an injury that has left you disabled, you are now in need of the Social Security Disability Insurance (SSDI) benefits you have paid into virtually your whole life. This should be easy, right? Unfortunately, it is not this straightforward. Nearly 70 percent of first-time applicants are denied SSDI. So what can you do to improve your odds? You might want to start with hiring an experienced SSDI attorney. Determine your eligibility. When you schedule a free consultation in our Albuquerque office, we will take a quick look at your medical records and work history to determine if you are indeed eligible for SSDI. Many people apply for disability when they are not eligible, which is a waste of time and effort. 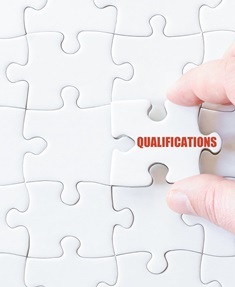 If we believe you should qualify based on what we see, we will help you with the next steps. Explain your options. Social Security programs can be confusing. We will help you understand all of your options so you can make the best choices moving forward. Depending on your age, number of years in the system, and economic status, you may have some important decisions to make and we will help you with those. Prepare paperwork. Many people are denied disability the first time because they do not complete the proper paperwork or they do not correctly fill out the application. 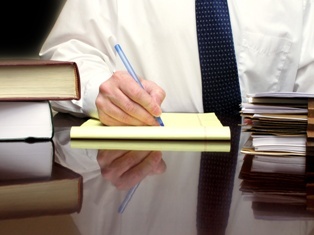 We will take care of all paperwork for you, ensuring that it is done right the first time. We will gather the documentation you need to prove your claim and submit a strong application. Evaluate your medical records. If you do not have adequate medical records, we will help you get the tests and evaluations you will need to prove your disability. Medical records are the most important part of an SSDI application and we will review them to make sure you have everything you need for a successful application. Work with vocational experts and others. Along with physical disability, you will have to show that you are unable to perform work duties or maintain substantial gainful employment. We will have a vocational expert examine your work history, education, and training in order to demonstrate your inability to work given your physical condition. The SSA will also have vocational experts examining your application, so it is important that you prepare by working with one of your own. File all necessary legal briefs. We will stay on top of time limits and file all legal papers on your behalf. Should you need to file an appeal, we will be on top of that and make sure everything is in on time. While your chances of approval are greatly improved by working with our attorneys, if your initial application is denied, we will be ready to start the appeal process immediately. SSDI claims are taken on a contingency fee basis. That means that until and unless your application is approved, you do not pay us a dime. The SSA has a cap on legal fees of 25 percent of your past due benefits, up to $6000. The maximums may increase if your case proceeds to the appeals court or federal district court. If you have questions about anything you have read here, feel free to call us to schedule your free consultation. We are happy to help you through this process. What is Residual Functional Capacity and how does it affect my claim for disability benefits? In order to qualify for Social Security Disability Insurance (SSDI) benefits, you must prove that you have a medically verifiable condition that meets certain requirements for severity and duration. You must also prove that the impairment prevents you from working. In order to determine just what you are physically and mentally capable of doing despite your impairment, the Social Security Administration (SSA) will assess your Residual Functional Capacity (RFC). This is an important step in the approval process and you want to make sure you are fairly assessed. Having a New Mexico SSDI attorney by your side will help. Gathering much of this information will be up to you. An experienced SSDI attorney will make sure you have complete medical records, all relevant medical tests and examinations, and strong statements from those who know you. Because your ability to perform work duties is not just based on physical ability, it is important that the SSA considers the mental, sensory, and other requirements of work and how your impairment might limit you in those areas. The evaluator will first determine your ability to perform the same job you had before you became disabled. This is known as past relevant work. If they find that you cannot perform your past relevant work, they will use your RFC along with information about your work experience, training, and education to determine whether you can perform any kind of work. At this stage, it is important that you have provided an accurate accounting of your vocational background. Very heavy work. This kind of work requires standing or walking for six or more hours and lifting 100 pounds or more. Heavy work. This is work that requires standing or walking for six or more hours and lifting weights of no more than 100 pounds. Medium work. Jobs that require standing or walking for six or more hours and lifting weight of no more than 50 pounds are considered to require medium levels of exertion. Light work. If you are approved for light work, you are expected to be able to stand or walk for six or more hours and lift weights of no more than 20 pounds. Sedentary. Sedentary work consists of sitting for six or more hours, standing or walking for no more than two hours and lifting weights of no more than 10 pounds. An assessment of your exertional classification will be compared to the physical demands of work that you are qualified to perform in order to make a disability determination. Of course, it is possible to be physically able, but to have other impairments that prevent you from working on a regular and continuing basis. If a person suffers emotional trauma or a brain injury, the consequences may be limitations in comprehension, memory, following instructions, and in responding appropriately to supervision, coworkers, and work pressures in a work setting. Some medical impairments, such as skin conditions, epilepsy, and hearing or vision loss may impose limitations and restrictions which affect other work-related abilities. The SSA will assess for these impairments in a manner similar to their assessment for physical limitations. Your RFC will include these mental and sensory limitations. In order to get a fair disability determination, you must have an accurate RFC assessment. With the help of the disability attorneys at Keller & Keller, you can build a strong application which includes all the evidence necessary to prove your need for benefits. Contact us today to find out if we can help. To be eligible for Social Security Disability Insurance (SSDI), you will have to meet the Social Security Administration’s (SSA) standards for disability for your particular condition. The SSA has an extensive list of conditions that may qualify you for disability benefits if your condition is severe enough to prevent you from working. Here, we give an overview of what you will have to prove in order to qualify for SSDI.